How much do Events suites cost? 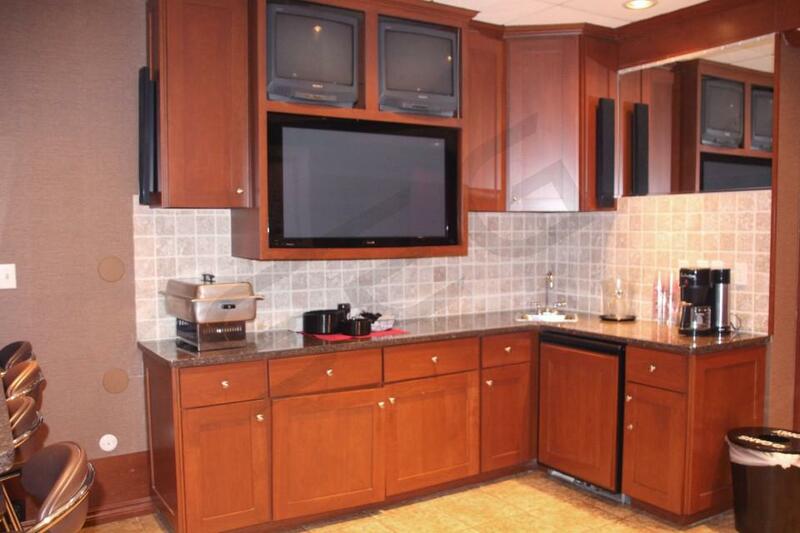 Prices typically range from $4,000 -$6,000 for Detroit Red Wings suites. Prices vary based on day of game, opponent, and the location of the suite. Red Wings suites will be cheaper on the weekends. Luxury suite prices for concerts and other events at Joe Louis Arena can vary widely based on the type of event. A Detroit Red Wings suite will feature HDTVs, Wi-Fi, premium in-suite catering options, private restroom, upscale furnishing and interior/exterior seating. With your Red Wings suite you will receive 2 VIP parking passes. 16 Tickets are included with an option to purchase up to 4 additional suite tickets. The Detroit Red Wings are one of the NHL’s most consistent teams. Year in & year out, the Detroit Red Wings are Stanley Cup contenders. 2015-16 was no different as the Wings once again made the playoffs. This season, the Red Wings return leading scorer and team captain, Henrik Zetterberg. Wings fans love their young phenom, Dylan Larkin. Entering season number two, Larkin will need to replace some of the scoring lost with the departure of NHL legend, Pavel Datsyuk. The Red Wings will also count on off-season acquisitions Frans Neilson and Tomas Vanek to help ease that burden. While 2016-17 may be considered a transitional year, expect the Red Wings once again to contend for a playoff spot. Jonathan Ericsson, Mike Green and Brendan Smith form a strong core on defense while the goaltending duties project to be split evenly by Jimmy Howard and Petr Mrazek. The Red Wings play at the Joe Louis Arena, also known to fans as “The Joe.” Inside the Joe Louis Arena the Red Wings pay tribute to some of their top former players including Gordie Howe, Ted Lindsay and Alex Delvecchio. 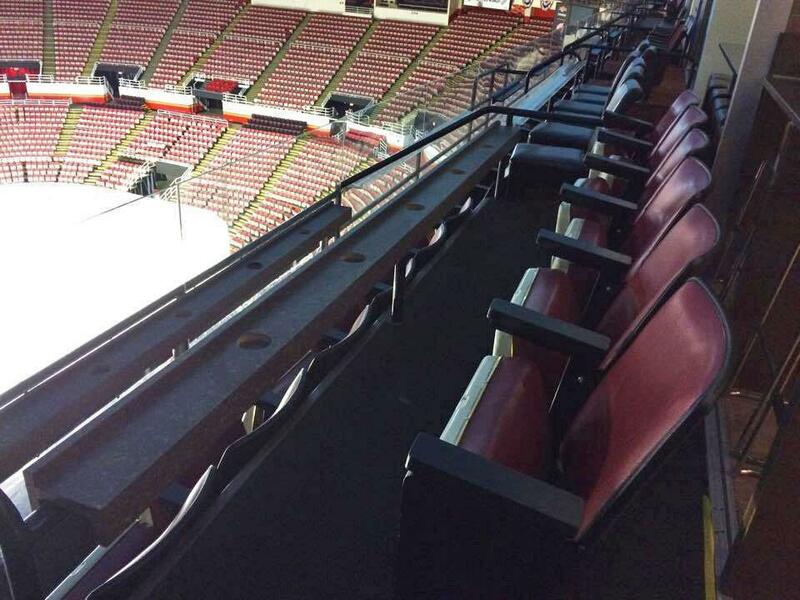 A suite at Joe Louis Arena can accommodate a group of 16 – 24 people. With a Red Wings suite you will receive VIP parking, private entry into the Joe Louis Arena and exclusive access to VIP lounges inside. A Red Wings luxury box features HDTVs, Wi-Fi, interior lounge seating, exterior balcony seating, private restroom, upscale furnishing and a dedicated suite attendant. Along with your Red Wing suite you can choose from a wide selection of premium in-suite catering options. 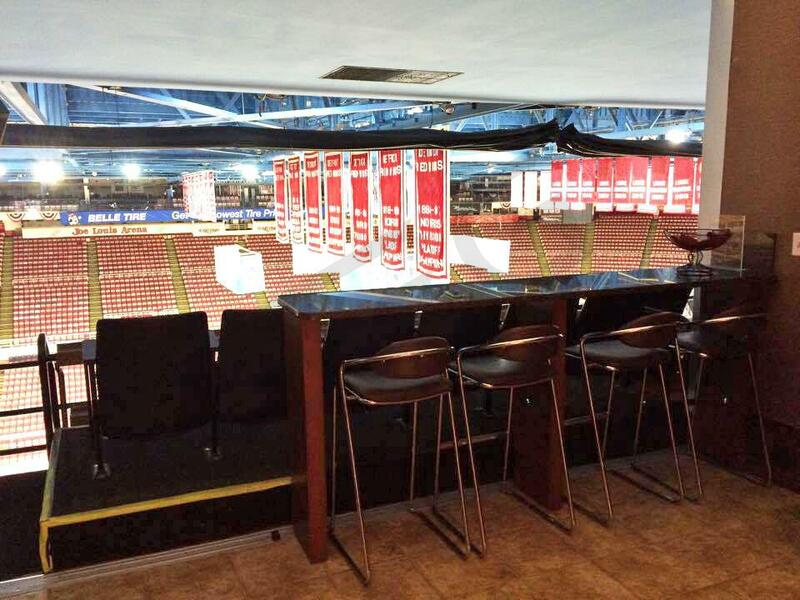 A suite at the Joe Louis Arena is the perfect setting for entertaining clients, employees or friends and family. The Detroit Red Wings are one of the teams in the Atlantic Division. Led by their head coach Mike Babcock and Captain Henrik Zetterberg the Red Wings on the verge to make another postseason appearance. The Red Wings have made the playoffs in 28 of the past 30 seasons. In the history of the Detroit Red Wings they have won 11 total Stanley Cups. The top players on the 2015 Red Wings include Pavel Datsyuk, Henrik Zetterberg, Tomas Tatar, Gustav Nyquist and Niklas Kronwall. Tatar, Datsyuk and Nyquist lead the team in goals. Zetterberg, Kronwall and Datsyuk lead the Red Wings in assists. In the net this season have been goalies Jimmy Howard and Petr Mrazek. The Red Wings play at the Joe Louis Arena, also known to fans as “The Joe.” Inside the Joe Louis Arena the Red Wings pay tribute to some of their top former players including Gordie Howe, Ted Lindsay and Alex Delvecchio. Other than the Red Wings, Joe Louis Arena will host many non-NHL events in 2015 including Ariana Grande, WWE: SmackDown, Katt Williams, Madonna and The Who. 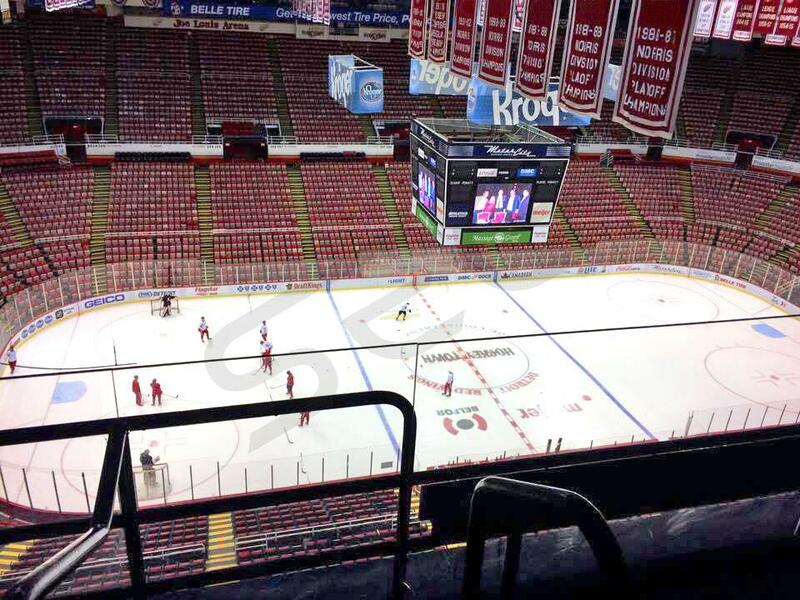 A suite at Joe Louis Arena can accommodate a group of 16 – 24 people. With a Red Wings suite you will receive VIP parking, private entry into the Joe Louis Arena and exclusive access to VIP lounges inside. A Red Wings luxury box features HDTVs, Wi-Fi, interior lounge seating, exterior balcony seating, private restroom, upscale furnishing and a dedicated suite attendant. Along with your Red Wing suite you can choose from a wide selection of premium in-suite catering options. A suite at the Joe Louis Arena is the perfect setting for entertaining clients, employees or friends and family. Thank you for signing up for specials at Joe Louis Arena. Enter your email address below to stay in touch. We'll sign you up for our newsletter, which will inform you of the latest inventory and events at Joe Louis Arena. We promise we will never sell or distribute your information. The seating chart below shows where the Joe Louis Arena suites at Joe Louis Arena are located.